ABU DHABI — ACWA Power plans to expand into solar panel manufacturing, its chief executive said, in a move which would put the power and water plants developer at the heart of Saudi Arabia’s plans to develop its renewable power industry. Riyadh-based ACWA Power, partly owned by Saudi’s Public Investment Fund (PIF), is in talks to become a manufacturer of solar panels, Paddy Padmanathan said in an interview, working with the sovereign wealth fund and Japan’s SoftBank on their $200 billion solar-power generation project. 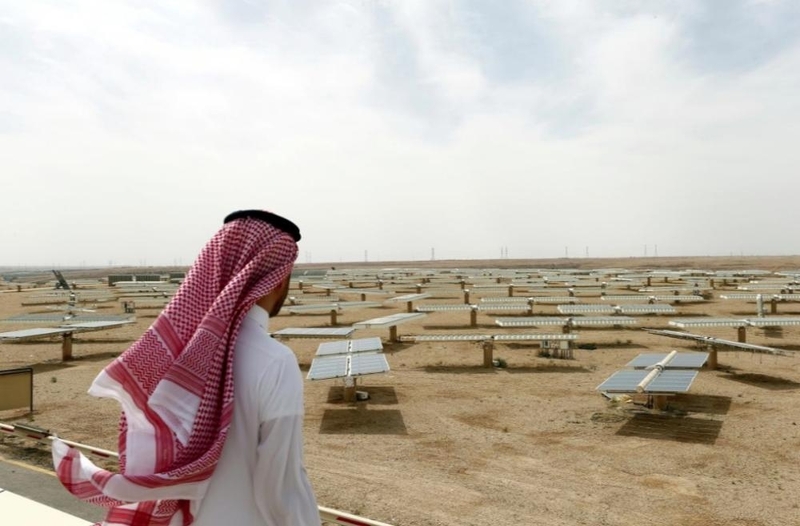 SoftBank Chief Executive Masayoshi Son announced in March last year a plan to invest in creating the world’s biggest solar power project in Saudi Arabia, a project expected to have the capacity to produce up to 200 gigawatts (GW) by 2030. The project is set to create thousands of jobs and develop a manufacturing industry in line with Saudi Arabia’s economic diversification plans laid out in its Vision 2030. “ACWA, being a Saudi company, will be working with PIF and Softbank [...] we’re in discussions to become a solar panel manufacturer,” Padmanathan said. ACWA Power plans to double its power production capacity by 2025 and to expand its operations to 25 markets from the current 12. “We expect renewables to be a significant part of that growth,” he said. ACWA mandated banks last year to sell a 30 percent stake through an initial public offering (IPO). Sources told Reuters at the time that JPMorgan, Citigroup, Natixis and Riyadh Capital had been appointed to advise on that process.